Care Sheets: lists genus Uromastyx caresheets, species specific caresheets, breeding and brumation pages, and helpful maintainance pages both on this site and others. Pictures: includes dozens of uro pics; where possible images include hatchling, juvenile, subadult and adult animals, as well as both male and females shots, oddball specimens, and anything else worth posting...Pics of enclosures and X-rays are also included. Uro Art: pencils, graphics, sculptures, paints...anything goes as long as it is Uromastyx oriented. Literature: a listing of Uro books, general reptile reference books, and scientific publications involving or related to uros. Breeders: email addresses and/or website links for reputable uro breeders around the country and the world. 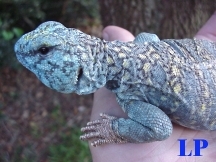 Uromastyx Links: a listing of uro-links including personal and hobbyist pages. Uros On-line: links to other hobbyists interested in uromastyx husbandry including email the listserve, Kingsnake's Uro-forum and herp related newsgroups. ADD A LINK: Add a link to our Uro Links page, or link to us using the Uromastyx Homepage banner. This page, founded 10 September 1995 by Mick Fagre, was one of the first websites dedicated to the genus Uromastyx. It has continued to grow steadily since then. Although it has changed hands several times over the years, it has always been the portal for the most up to date and accurate information on the care and conservation of spiny-tailed lizards. We look forward to continuing in this tradition by maintaining the high standards set by our predecessors: thank you Mick Fagre, Randall Gray, Troy Jones, Jack Corzine, Eric Sorin. Please report broken links or Homepage management issues to E-MAIL to UroHomePage Mgr, Thank you. "The Uromastyx Home Page" and Uromastyx Logo are trademarks. 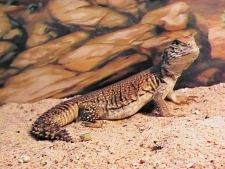 "The Uromastyx Home Page" was created by Mick Fagre, Troy E. Jones,& Randall L. Gray. Reproduction in whole or part expressly forbidden without prior permission.